Why Bones REDS? Let me tell you why. Back in the summer of 99' I was really interested in building my own skateboard. I went to my local shop, Cowtown Skateboards, in Glendale AZ, back when a guy named Chris used to work there. And Chris walked me through what I needed to be looking for in building a great complete. When we got to bearings he suggested Bones REDS. They seemed expensive to me, and I kinda fought him on spending the roughly $20 on bearings cuz I was a snotty nosed 12 year old and cheap af. I also bought a Powell Deck, Independent Trucks, Spitfire Wheels and Lucky Hardware. My $20 investment in the Bones REDS I bought that day turned out to be by far the best investment I had made that day. When you think about it, I really invested in 4 separate companies at once. The Bones REDS, which I put real effort into preserving cuz Chris told me too, outlasted every other product that I bought to make my first complete. Plus 2 more decks. I've only bought Bones Swiss Brand Bearings since then. My son same, his brother, same. You and your people should too. Not cuz they look dope, not cuz I said so, but because they're worth the money. I am a 42 year old skateboarder who just started skating again less than six months ago. I skateboarded back in the late 80s until the age of 15 but then never skated again. Recently, my son found a skateboard in a ditch and it did not roll very well so, i thought I would buy some bearings online to see if I could use it. I did my research and ended up purchasing Bones REDS. Bones REDS bearings made a huge difference in skating the board (ends up it is a very cheap Kmart special with crappy trucks and razor tail). After realizing I had the passion to get back into skateboarding again from skating this crappy board but enjoying it, I purchased a Tony Hawk complete from Birdhouse since that was the last board I rode when I was 15 years old. I rode the Tony Hawk complete for months until I noticed that I was having trouble getting up and down the ramps in the local skate park. 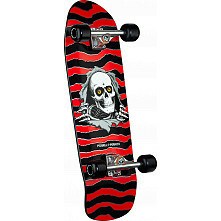 I remembered that I still had the Bones Bearings in the crappy Kmart board. I removed the complete's generic bearings and replaced them with the Bones REDS and have not looked back. Recently, I purchased an 8.5" Bamboo Complete that was on clearance for $70 on Black Friday but the bearings and wheels that came with the board really sucked for skating park. I put my Birdhouse wheels on the board and tried them with both the generic complete bearings and the Radeckal bearings that came from Bamboo but I found that the Bones REDS were still the fastest. Now, I am getting ready to purchase my first 60mm Bones SPF wheels and Bones Super REDS. I was debating whether to go Bones Swiss but since I just spent $70 on myself during Black Friday, I figured that I could probably justify spending another $10 on Bones Super REDS bearings in addition to the wheels but I could not justify to my wife spending as much as I would have to on Bones Swiss yet, although I would love to own a pair of Swiss, even if they were old and I just had to clean them. Maybe next year!